Mobile phones have been the necessity of this generation and without it there is no work that can be completed. Moving ahead, the internet revolution and the mobile generation has pegged their way to an effective and fast solution of problems such as losing a mobile phone. There is some kind of guilt that everyone feels after he/she loses a mobile phone. The guilt is indescribable and also bruns hole in one’s pocket as they would now need to purchase a new phone. Well, what if we say that we have got the problems sorted, and we can help you save the money for the post phone? But how, it’s there below! In this article, we will be talking about different ways that one can use to track mobile number in India. The first way is definitely the IMEI number which can help to track one’s device automatically and globally as well. Every phone will have an IMEI number and one can know about their IMEI number by going to settings-Phone Information-About Device. 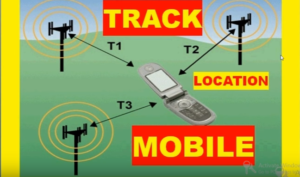 The IMEI number can help a mobile company and air operators to track the device easily. This is said to be the easiest way to track a mobile number. The second one on the list is that one can go to the nearest Cyber Crime branch and file an FIR against the loss of the mobile phone. It generally takes a month or two to find it but you can be lucky on your part as well. This is said to be the most effective and efficient way to find a lost mobile phone in India as per people on offline and online publication. Through this one can know identification details, track your personal and Mobile’s location, and much more. Third and the last point on the list is that one can track his/her lost device by using paid software. For this step/way, one would need to have pre-installed paid software that helps in tracking phones. Although the method has been banned by the Indian government, one can still install and use it via VPN. There will be some sort of code available to the person with pre-installed software and would need to enter in the software to track the phone. This is also been rated as the simplest way of tracking a mobile phone across the globe. That’s it from us on different ways to tracking all mobile number series. The list has been curated after reading and listening to many expert’s offline and online respectively. In this article, we have solely focused on talking about different ways of tracking mobile number in India. Thank you for reading the article, and let us know if we have missed out on a way to track your mobile number or if you have used any of the method listed above to track your mobile phone when lost. The post is no way sponsored by any of the mobile company, and air operators respectively.